Imdaad, a leading provider of integrated facilities, environment and energy management solutions in the Global Corporate Challenge (GCC), has expressed that building owners in the challenge are not harnessing the full potential of building management systems, noting that 80 percent of such systems still operate manually. 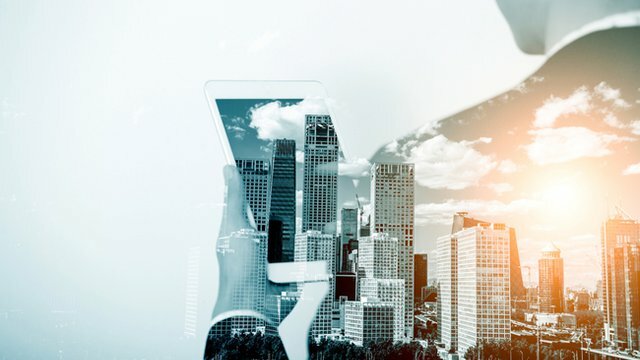 Despite talks about integration of building management systems with heating, ventilation and air conditioning with the help of state-of-the-art technologies, such as the Internet of Things (IoT), there has been a moderate response from buildings owners in acknowledging smart building solutions, reports the website Zawya. According to a recent study by technology firm Honeywell International, the Middle East's average smart building score is 48 out of 100, with Doha leading with 70 points, followed by Dubai at 65 and Abu Dhabi at 48. The survey also reported that airports in the region have a score of 80, while hotels are second at 57, followed by hospitals at 56 and retail at 52. Those with the lowest average scores are private offices at 46, highrise residential buildings at 45 and educational facilities at 41. The international smart building market is expected to reach $36 billion by 2020 from $7 billion in 2015 at a compound annual growth rate (CAGR) of 38 percent, according to a recent report. Quick to respond to the global trend, the GCC continues to bolster its smart building solutions sector with the implementation of strict environmental regulations. The United Arab Emirates is leading the way in this collaboration with more than two-thirds of the 1,236 Leadership in Energy & Environmental Design (LEED)-certified projects. It is also the frontrunner in its region in implementing unified building codes for new buildings. Since 2014, the Abu Dhabi International Building Code (ADIBC) standards have become compulsory for all projects in the region. Dubai, on the other hand, has recently launched the green building rating system called Al Safat, which classifies facilities under the platinum, gold, silver and bronze categories. Every building constructed in the emirate after 2014 has to adhere to the minimum bronze requirement to receive a permit. The new building codes not only support EXPO 2020's theme of “Connecting Minds, Creating the Future through Opportunity, Mobility and Sustainability,” but also facilitate Dubai's move toward becoming a smart city. They also complement Dubai Clean Energy Strategy 2050, which aims to provide 7 percent of the emirate's energy needs from renewable sources by 2020, increasing its capacity to 25 percent by 2030 and 75 percent by 2050. "Initially, building owners were not aware of the numerous benefits of smart building technologies such as energy efficiency, building longevity and enhanced living experiences for residents,” Jamal Abdullah Lootah, CEO of Imdaad, said. “Moreover, due to a lack of incentives and the cost involved, even facilities management companies were not enthusiastic to adopt energy saving solutions. However, the implementation of the new codes in the UAE have brought about a definite change in the mind-set of people, including our clients who have started requesting for green building solutions."